Whether you’re out on a farm, at a construction site, in the forest, or just in your neighborhood, there’s a good chance you’ll see some form of John Deere equipment. The equipment that you see does not all come from one location. 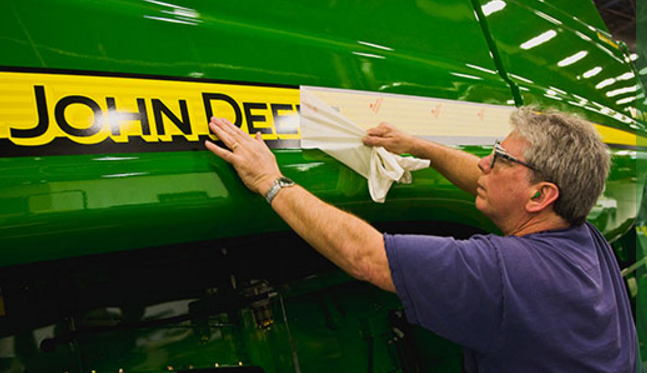 Instead, there are John Deere factory locations around the United States (and the world) that specialize and take pride in producing green and yellow machinery. So, where exactly is all of this John Deere equipment manufactured? Here’s a list of John Deere factory locations in the United States that produce the majority of the equipment we see on an everyday basis. Next time you see John Deere equipment in action, refer back to this list so you can gain a better understanding of where it may have originated. To learn more about the pieces of equipment on this list, reach out to your local John Deere dealer or visit Deere.com.